At the end of 2018, I got this idea of writing a tool which can automatically detect JPA and Hibernate issues by scanning your data access layer and provide you optimization tips. At the beginning of February, Thodoris Chaikalis surprised me with this Facebook comment which reinforced the idea that having such a tool would be really awesome for Java developers working with JPA and Hibernate. Imagine having a tool that can automatically detect if you are using @Java Persistence and #Hibernate properly. Today, I’m happy to announce to you that the initial version is ready. Hypersistence Optimizer has finally arrived! but it is way more flexible when it comes to fetching data. is using a separate Foreign Key to reference the parent record. Consider using @MapsId so that the identifier is shared with the parent row. is using a List so it does not render very efficient SQL statements. Consider using a Set instead. is mapped as the parent-side of this relationship. and even then, there are limitations to how the one-to-one association can be mapped. so that you can always reference the parent entity while having a reference to the child. As I explained in this article, EAGER fetching is very bad for performance since it can lead to N+1 query issues, and the EAGER fetching strategy cannot be overridden on a per query basis. The parent-side of the @OneToOne association is also fetched eagerly unless bytecode enhancement is used. Check out this article for more details. Only if we are using @MapsId on the client side of the @OneToOne association will the JPA association map a real one-to-one table relationship. Otherwise, we get a one-to-many table relationship where the Foreign Key is unique. The @ManyToMany association works better with Set collections. Using a List will generate more queries than necessary. For more details, check out this article. To play with Hypersistece Optimizer, go the hypersitence-optimizer GitHub repository and use the current examples. You can download and install the trial version to get the hypersistence-optimizer dependency. Now, this is just the initial release. The next releases are going to add support for Hibernate configuration, so stay tuned for more awesome performance optimizations. I am using Spring and Gradle for my project. I did import the optimizer as described in the StackOverflow example from above. Now how should I receive the inspection errors? On a application build or run? You need to call the init method on the HypersistenceOptimizer object. 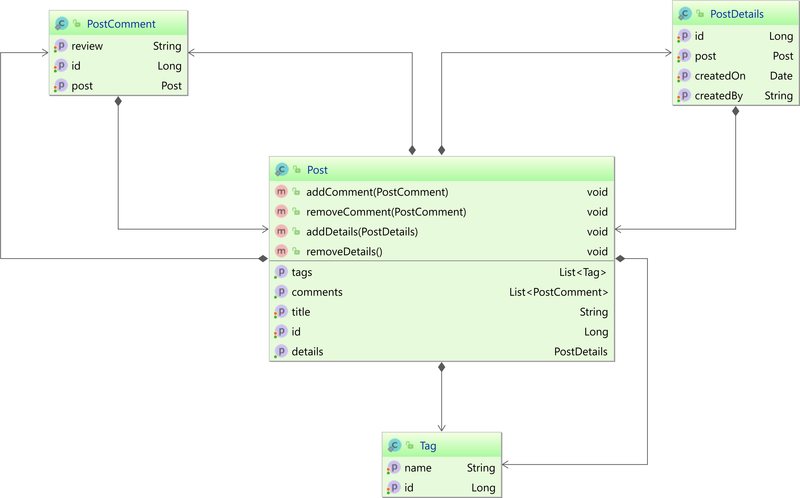 Check out the GitHub repository for 2 examples with both Spring JPA and Spring with Hibernate. Sir,if possible please make a video on how to install and how to use.it will be much helpful and easy to understand. Did you read the Installation Guide? It provides step-by-step guides to how you can use it. How to add this dependency in gradle. You can install the depednecy with Maven and then use mavenLocal() in Gradle, or use something as described in this StackOverflow answer.